Nursery places are currently available at Innovations Children’s Centre. 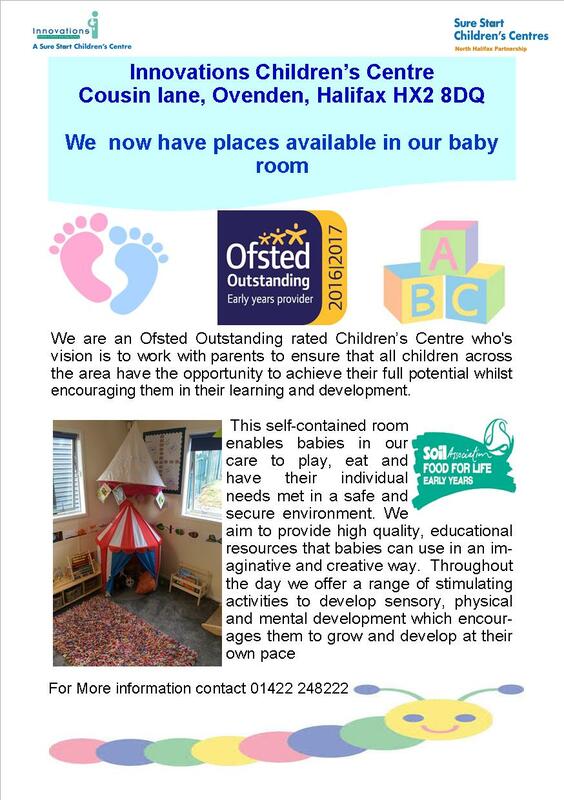 This is an Ofsted Outstanding rated Children’s Centre who’s vision is to work with parents to ensure that all children across the area have the opportunity to achieve their full potential whilst encouraging them in their learning and development. The self-contained room enables babies in our care to play, eat and have their individual needs met in a safe and secure environment. The aim is to provide high quality, educational resources that babies can use in an imaginative and creative way. 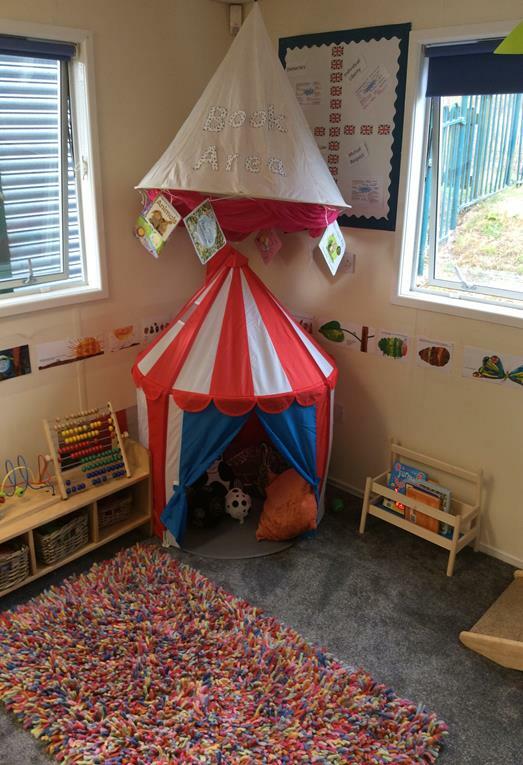 Throughout the day there are a range of stimulating activities to develop sensory, physical and mental development which encourages them to grow and develop at their own pace.